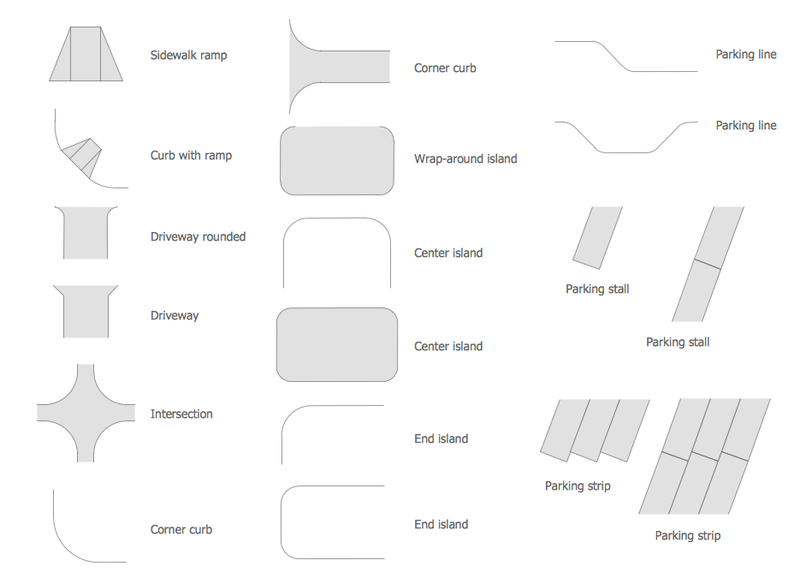 Is there any way to start your drawing not from scratch and, moreover, to design multiple site plans? Site Plans Solution enables constructing engineers, civil architects and land developers to look through a number of various design schemes. This application can do your job for you and there will be no need in drawing single-/multi-family, commercial, residential or industrial design plans. 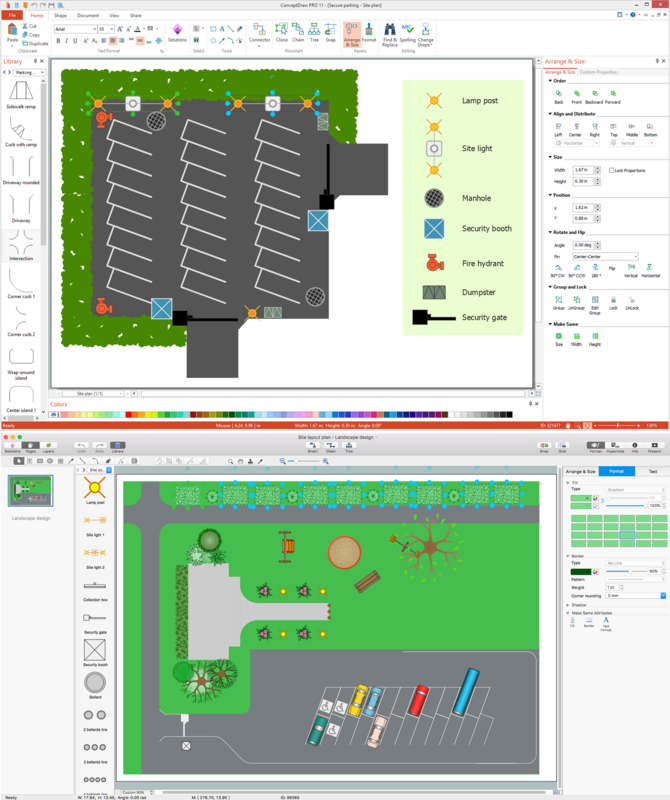 ConceptDraw DIAGRAM diagramming and vector drawing software extended with Site Plans Solution from the Building Plans Area of ConceptDraw Solution Park is a powerful Site Plan Software. 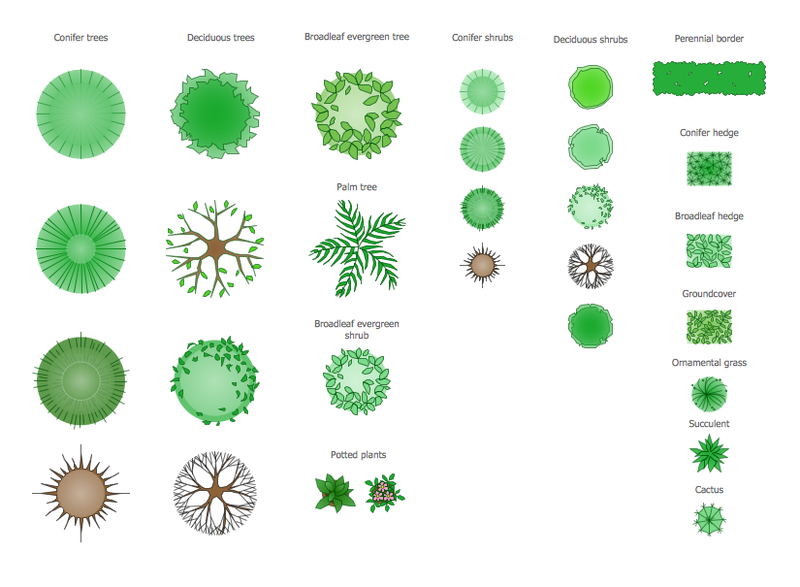 How many samples, templates, examples are included in Site Plans Solution, and also wide variety of predesigned vector objects which are grouped in 3 libraries. 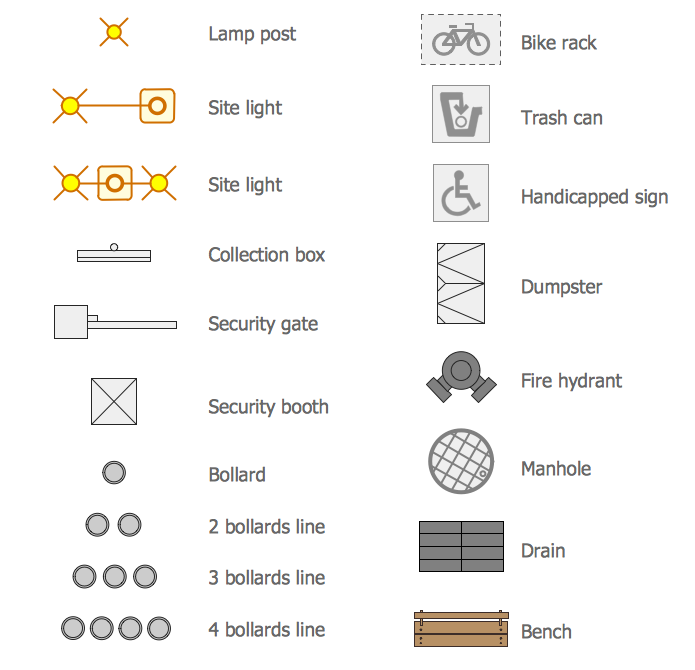 All these objects were prepared specially to help you create your site plans in a few minutes. You need only drag the desired of them to your document and arrange according to your design idea. 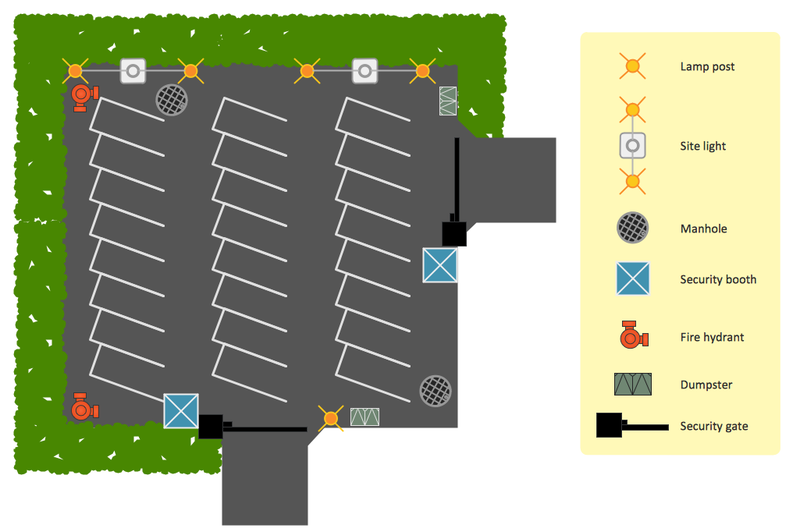 This site planning sample shows the equipment layout on the secure parking area. Use it to develop residential and commercial landscape design, parks planning, landscaping territories, lighting trails, to create drainage facilities, yard layouts, plant maps, outdoor recreational facilities, and irrigation systems.